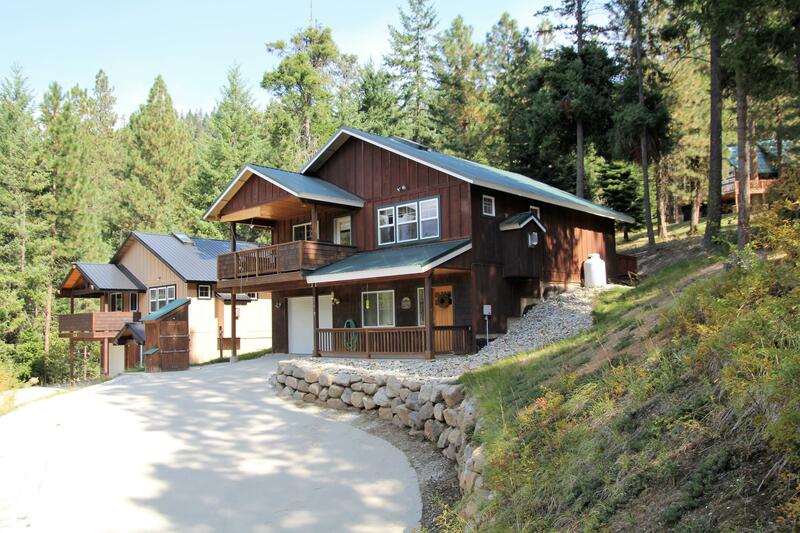 Charming turn-key chalet nestled in the Ponderosa Community just 15 miles from Leavenworth. This home features an open concept kitchen/living area with log decor, cathedral pine ceilings, stone gas fireplace and bamboo flooring. The master suite and additional bedroom & bonus rooms all come appointed with king & queen size beds and rustic furnishings. The kitchen is equipped with everything you need. The front deck is furnished with a full size Weber BBQ gas grill, gas fire pit and deck furniture to take in the territorial views & amazing sunsets. The oversize one bay garage will house your vehicle & all your recreational toys. Community features a club house, swimming pool & Wenatchee River beach access. Heated driveway makes winter access a breeze. Nightly rentals allowed if desired.